As a fellow musician and general appreciator of good music, there's nothing more beautiful than a group of well-placed harmonies. 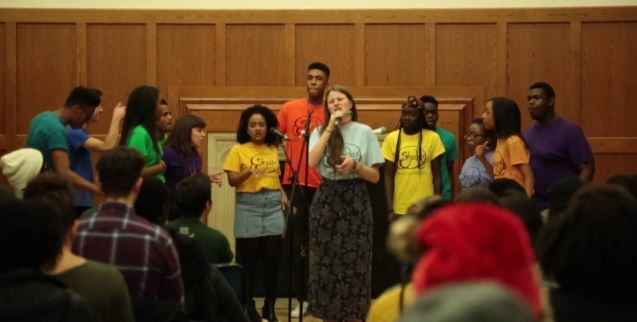 I have to admit that while many college groups are skilled at executing harmonies, there's something special about the way Shades from Yale University presents them. In their cover of Brownstone's "If You Love Me" there's an airy goodness to the quality of their vocals and their harmonization with the lead. It's as if the group transports you back to the simple and carefree times of the 90s with very little effort. What's also incredible about this video is how supportive and appreciative the audience is of the performing group. They respond to the amazing runs and tight chords with joy. Enjoy this #WCW that's sure to spark up some nostalgic.